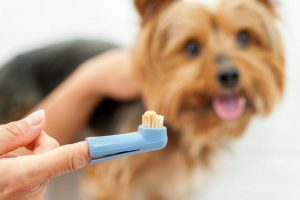 Wouldn’t it be great if we could get our pets to brush their teeth regularly? 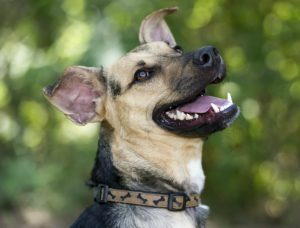 They don’t realize how important dental care is to their health, but we do (or will after reading this) and we can help our dogs take care of their teeth and gums. We know, we know – you probably have more important things on your mind than worrying about your dog’s dental hygiene, but it’s an important part of Fido’s regular care. According to the American Veterinary Dental College, by three years of age, most pets suffer from periodontal disease. These common, easily treatable dental problems can really cause pain and discomfort. Let’s dive into what to look out for and how to prevent it. Gingivitis is a gum disease that occurs when gum tissue becomes inflamed. If not treated, gingivitis will lead to periodontitis (described below) and can cause your pet to lose his teeth. Periodontitis is an advanced gum disease that attacks not only the gums but also the bones below the gums. Commonly called periodontal disease, this is the most common dental problem in dogs. Imagine not brushing your teeth for a year — plaque, food particles and bacteria would build up. Your breath probably wouldn’t smell like roses either. If your dog has gum disease, you may not have to imagine it; you will probably be able to smell and see a near-white substance coating the teeth and gums – that’s the result of bacteria. If you think your pet already has gum disease, take them for a checkup before attempting at-home dental care. Brushing may be painful and from then on they will associate the activity with pain, making it difficult to keep up with regularly. Get a toothbrush that is made specifically for pets; you’ll find both in any good pet supply store. A finger brush is recommended for ease, it resembles a large thimble with bristles mounted on it. Start by coating the finger brush in something your dog likes; like peanut butter. Let them lick it and even chew on it for a second. After a while your dog will recognize the finger brush as something yummy and come running. Move onto toothpaste. It’s important to find toothpaste that is made for pets; don’t try to use toothpaste made for humans as it isn’t intended for ingestion and animals can’t spit, unless you own a camel. Start brushing your dog’s teeth early on in life, it will be less traumatic overtime, and turn into an activity they enjoy. If you ask an honest vet, they will bashfully tell you they don’t brush their own dog’s teeth every day. Then they might offer to sell you mouthwash products for dogs, just ignore the mental picture you get of your dog trying to gargle. It’s simple, you just add it to your dog’s water dish and it will not only improve your dog’s breath, it will help prevent tartar buildup – but it won’t get rid of tartar that’s already there! 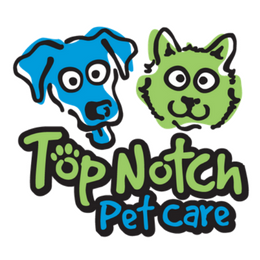 If you can’t, or don’t want to brush your dog’s teeth, take them to a veterinarian for a professional cleaning. They will scrape and brush your dog’s teeth, just as you get yours done by a dentist, except your dog will be sedated. It’s during this time that the need for extraction of teeth may be discovered. Prices for dental treatment can vary and be costly, expect to pay at the very least $300. Dogs have dental problems similar to humans and they benefit from dental care just like we do. Ask your veterinarian for their recommendations on the best approach to take and products to use on your dog’s teeth. Top Notch Tip: Sometimes Fido is better behaved for someone other than his mom and dad. If you have a regular dog walker or pet sitter, ask if they will introduce the toothbrush during their visit.